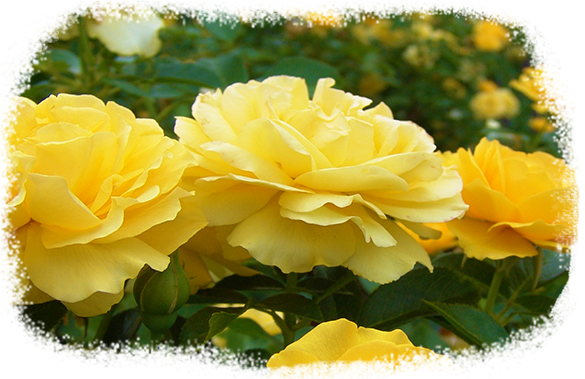 Our mature trees and shrubs can help homeowners determine the right plants for their landscaping needs. 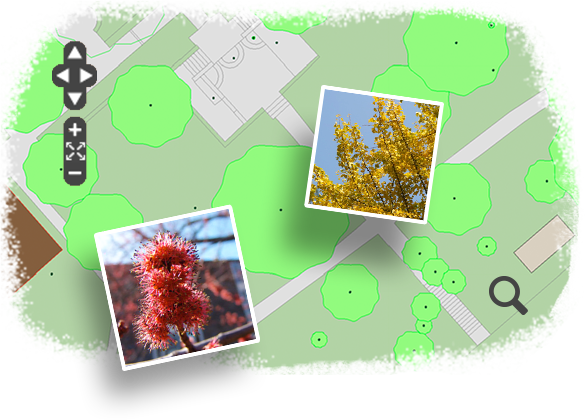 Search by scientific or common name to find woody plants on our interactive map. The following woody taxa are well represented in the collection. The Arboretum’s collections of hollies, magnolias, and oaks have gained recognition as registered collections in the Plant Collections Network (PCN). 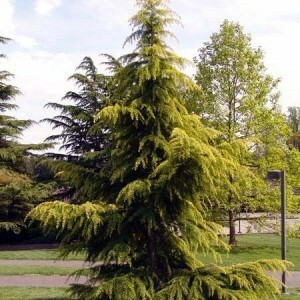 Our conifer collection showcases a diversity of types suitable for gardens in the Mid-Atlantic Region and is strong in cryptomerias, dawn redwoods, bald cypresses, and pines. Different textures, sizes, shapes, and colors can be seen in the collection. 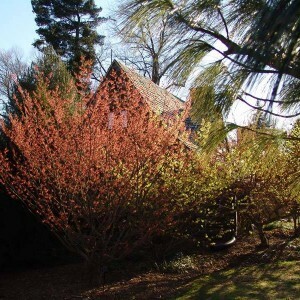 The majority of the witch hazel collection is located below the Faulkner Tennis Courts on campus. This collection consists of over 30 different taxa. 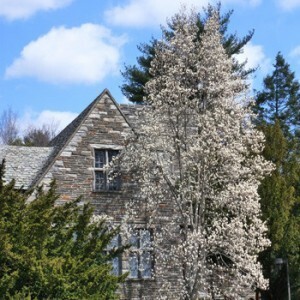 The crabapple collection is located throughout campus. This collection has about 50 distinct taxa. The cherry collection was started in April 1931 as a gift of Mrs. Allen K. White, Class of 1894, in honor of Carolien Powers, Class of 1922. Thirty-four varieties, two plants of each were planted in a semi-circle from the Meetinghouse to the President’s House and along Cedar Lane. The collection has evolved over the years and now includes the Suzanne Schmidt Memorial Garden. Over 65 taxa of flowering cherries are displayed; Prunus subhirtella ‘Scott Early’ begins the long flowering sequence that later ends with Prunus ‘Shirotae’. Here the flowers, growth habit, and size can be compared. In 2010, the Chica Maynard Cherry Border Endowment fund was established to maintain this area. 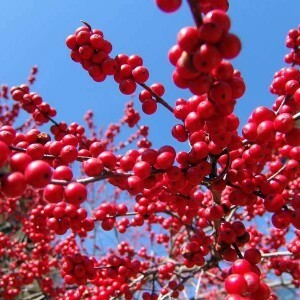 Donated in 1974 by James R. Frorer, Swarthmore Class of 1915, the Frorer Holly Collection is one of the best collections in the country and has been designated as a National Holly Arboretum by the Holly Society of America and recognized by the Plant Collections Network (PCN). Each year, the collection, which now contains over 300 different types of evergreen and deciduous hollies, is evaluated for winter hardiness and ornamental traits. The Arboretum’s hydrangea collection is located along Whittier Place, across from Papazian Hall, and consists of more than 100 taxa, representing 15 species. 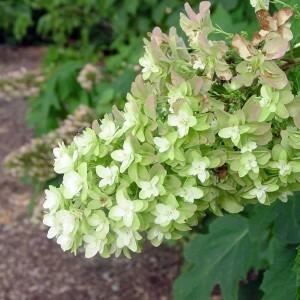 Within the collection, there are Hydrangea arborescens, H. involucrata, H. macrophylla, H. paniculata, H. quercifolia, H. sargentiana, and H. serrata. July and August are the best times to see the collection at peak bloom. Magnolias are well represented at the Arboretum with about 140 taxa; the main collection, registered by NAPCC, is located along Route 320 next to the Benjamin West House. Yellow and Magnolia x soulangiana hybrids, along with Little Girl hybrids (M. stellata x M. liliflora), are emphasized in the collection. 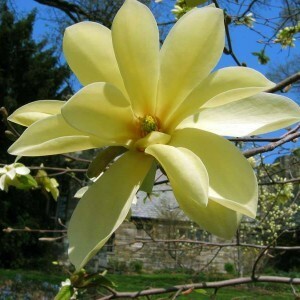 An ever-expanding selection of yellow magnolias can be also seen at the tree peony collection. Visitors interested in our magnolias may also be interested in the International Magnolia Society. 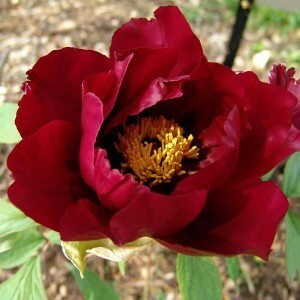 One of the first collections at the Arboretum after it was founded in 1929, the tree peony collection now includes about 130 taxa. Irregularly-shaped beds contain Saunders’ hybrids, Japanese tree peonies, Chinese tree peonies, French hybrids, Daphnis hybrids, and species. Mid-May is the peak time to see their flowers. Found below Clothier Memorial Hall. A number of Gold Medal Plants can be found throughout the Arboretum and some are concentrated around Alice Paul and David Kemp Residence Halls near the SEPTA train station. This witch hazel was selected from a group of seed-raised plants received from Koster Nursery, Bridgeton, New Jersey in 1951. 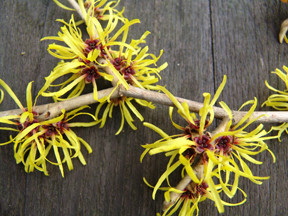 It was named and registered by Andrew Bunting, the Curator, since it flowers three to four weeks earlier than other witch hazels and has outstanding yellow flowers. This is a new clone of the Yulan magnolia selected for its particularly upright habit. Like other clones of M. denudata, it flowers very early, at the end of March to early April with large fragrant ivory flowers. The ultimate height will be 30-40′ tall with a spread of 15′. This white and green variegated diminutive selection of hosta was selected by Gertrude Wister, late assistant director of the Scott Arboretum. Singled out for its persistent evergreen leaves and dense habit, this sweetbay magnolia commemorates a famous New York nurseryman whose daughter attended Swarthmore College; the original tree resides in the magnolia collection. Originally found by Mrs. Josephine Henry of the Henry Foundation, Gladwyne, PA, this plant was distributed to the Scott Arboretum through the Arnold Arboretum. 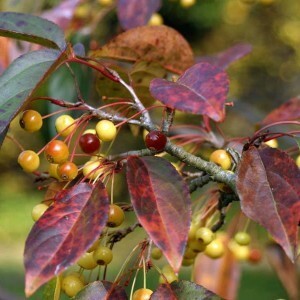 Growing at Scott, the shrub caught the eye of Micheal Dirr, professor of Horticulture, who suggested naming it ‘Henry’s Garnet’, referring to the College’s color. 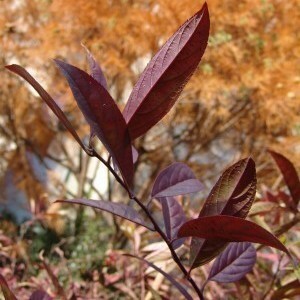 In addition to its rich burgundy autumn color, ‘Henry’s Garnet’ has white flowers that attract butterflies and other pollinators. The plant was a gift from Mrs. Arthur Hoyt Scott. 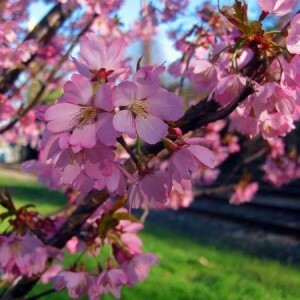 It blooms very early in the spring around the first of April and has striking, soft-pink flowers.